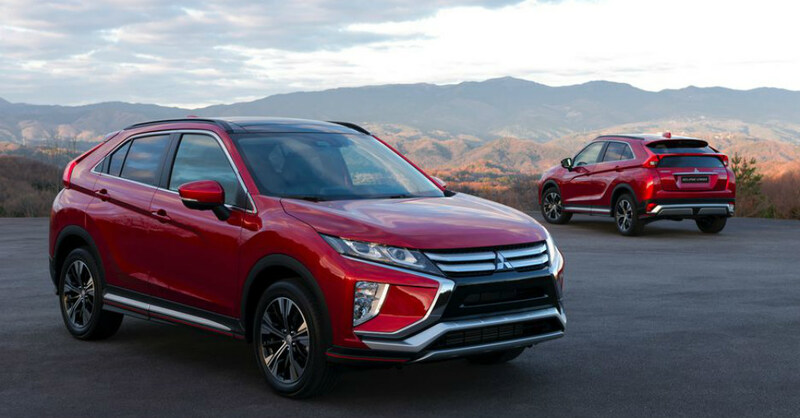 When you see the new Eclipse Cross compact SUV on the lot at your nearby Mitsubishi dealership you’re going to have to take a second glance because this new SUV looks like something special that you want to drive. This impressive small SUV has a distinct style with sharp lines, a high stance, an active and athletic appearance, and the size you need. This sporty-looking SUV is one that makes the ride right for you and gives you the personality of a coupe in SUV form to make you smile when you get behind the wheel. There’s an appealing collection of standard and available features offered to make the Eclipse Cross the right SUV for you. Open the door and take a look at the impressive amount of passenger and cargo room that will ensure you can have the quality drive and comfort you’re looking for. Sit in the seats and feel the comfort while you admire the electronics offered that certainly allow you to stay connected and have the information you’ll want when you head out for a drive with your family or friends in this attractive new SUV that’s ready to ride. Starting at the base model of this new SUV you’re going to have a seven-inch touchscreen audio system, a rearview camera, Bluetooth connectivity, SUB ports, automatic climate controls, and alloy wheels. You can move up to the SEL trim and enjoy the benefits of AWD, leather upholstery, a power driver’s seat, heated front and rear seats, a heated steering wheel, Apple CarPlay, Android Auto, a 710-watt/nine-speaker Rockford Fosgate audio system, a head-up display, push-button starting, and a variety of active safety features that will be right for you to have the drive you’re looking for on the road. The power for the new Mitsubishi Eclipse Cross comes from a 1.5-liter turbocharged four-cylinder engine that makes 152 horsepower and 184 lb.-ft. of torque. This engine is attached to a CVT automatic transmission that can be setup with FWD or AWD for the driving experience you want to enjoy. This little SUV can tow up to 1,500 pounds and offers you the ability to have up to 29 mpg on the highway to make this the SUV you’ll want to experience when it’s time to head out on the road and take a drive. Are you ready to drive an SUV that gives you more in the compact market? If so, the Mitsubishi Eclipse Cross is one you need to consider. This SUV is ideal for the drive you need to make every day and it brings you the quality features you want and the driving capability that makes sense for you. Make your way to the Mitsubishi dealership in your area and let this become the new model with the ride, qualities, look, feel, and personality that you want to experience every day. When was the last time you smiled every time you took a drive? The Mitsubishi Eclipse Cross can put that smile on your face. Would You Purchase a Luxury Car with Bitcoin?